We provide unrivalled in-depth analysis of Affiliate Networks, by market sector, individual keyword and right down to merchant programme ID globally to give affiliate managers powerful granular level reports on their own - and their competitors' affiliate programmes. The Publisher Discovery platform is currently used by many affiliate networks across most global markets, as well as OPMs and major online merchants. Publisher Discovery tools have indexes of tracking for over 300 affiliate networks worldwide, providing unique and unrivalled access to view over 1.5 million affiliate websites. This is across all continents and in any language, all of which can be searched within the data in the platform using multiple filter options. such as Skimlinks, Viglink, Digidip and others. This can be particularly useful in identifying initial referring affiliate placements when network data only shows the sub-network referrer giving the affiliate manager more control over the campaign. Your Publisher Discovery account can also be tailored to include specific direct linked tracking. With increasing numbers of merchants using SaaS tracking solutions such as Performance Horizon, Cake and HasOffers as well as off the shelf white label tracking options; this is a growing trend in the performance marketing sector. We can help you identify and investigate these inhouse 'networks' which often partner with many thousands of affiliate websites. 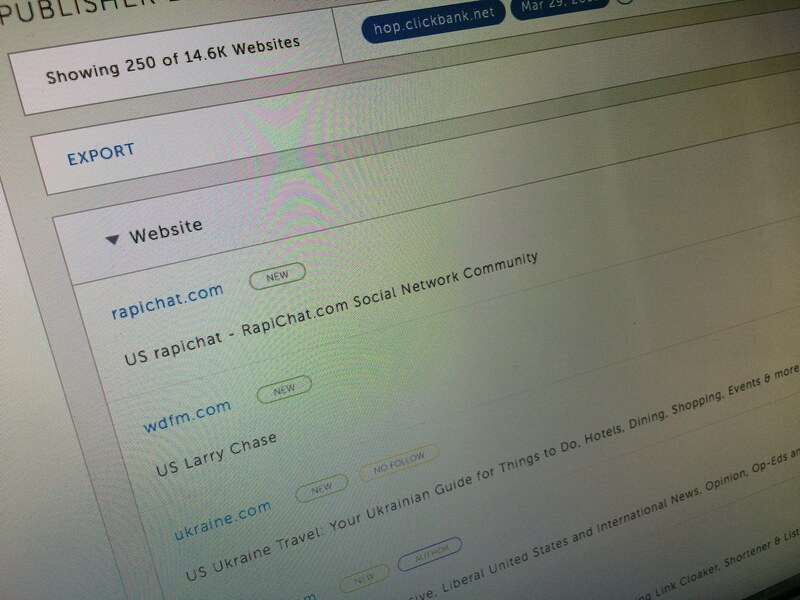 Scheduled reports give a view over time and a clearer view of how competitors are performing. Affiliate Managers value the ability to report analysis by affiliate ID, which gives a clearer view of each publisher and their overall online presence - and influence. Gap Analysis reports provide the affiliate manager with clear actionable data and detailed affiliate intelligence, giving opportunities for recruiting affiliates to grow the affiliate program. The PublisherDiscovery market sector analysis reports provide a broader view to aid with longer term planning. Publisher Discovery has a global reach with data from networks and inhouse tracking across all continents providing analysis of over 300 network tracking domains. Find out more about how Publisher Discovery can fit into your business and the Pricing models for the SaaS platform and service.